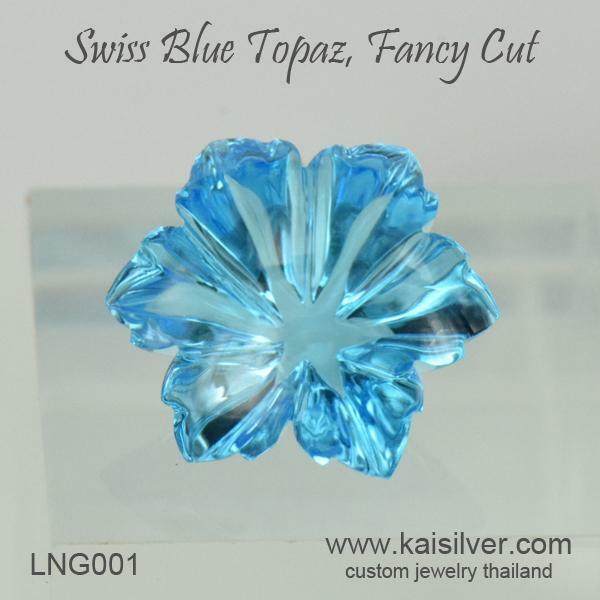 A spectacular swiss blue topaz flower gemstone, measuring an impressive 14x14mm and weighing a wholesome 15-17 carats. The gem has a depth of 8mm which makes it suitable for a classic gold or 925 silver ring. 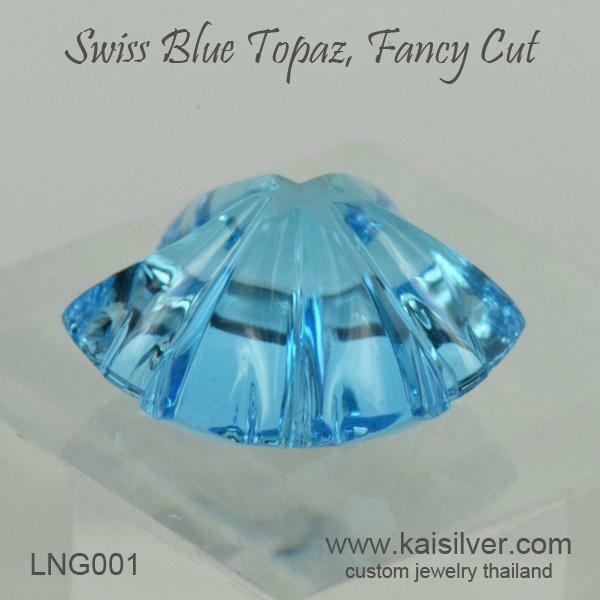 The smooth flow and curves of this big swiss blue topaz fancy cut gem are absolutely stunning. The gem is a classic example of how human skills and dedication can significantly raise the value of any gemstone. It is impossible to price such fancy cut gems with a flat per carat rate, we offer this beauty at a reasonable per piece price of just 525 U.S$. While we can custom cut this gem for you with the dimensions of your choice, please communicate your requirements with our support team at sales@kaisilver.com we will be glad to assist you.